Computer-aided design (CAD) is the use of computer technology for the process of design and design-documentation. 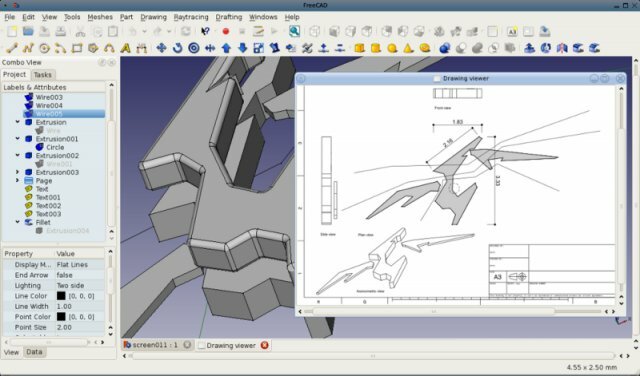 But are there any good free CAD apps for Linux? Strangely, that is one of the questions we often receive in our mail. We will try to list not just the free CAD apps here, but also the non-free ones that works well under Linux(in no particular order). 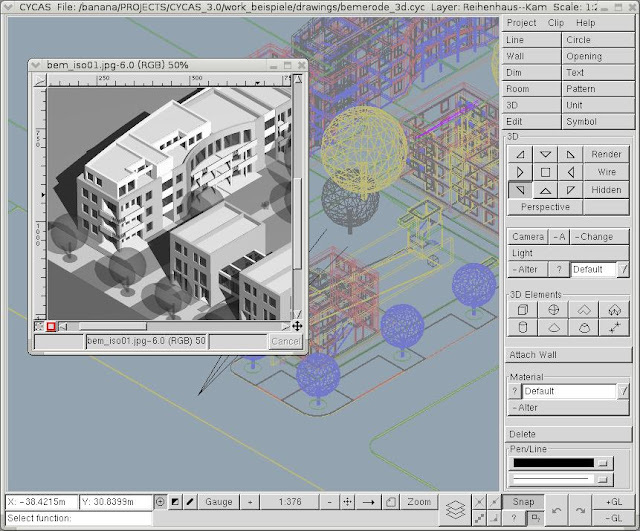 Bricscad is a CAD package developed by Bricsys, originally built using the IntelliCAD engine. 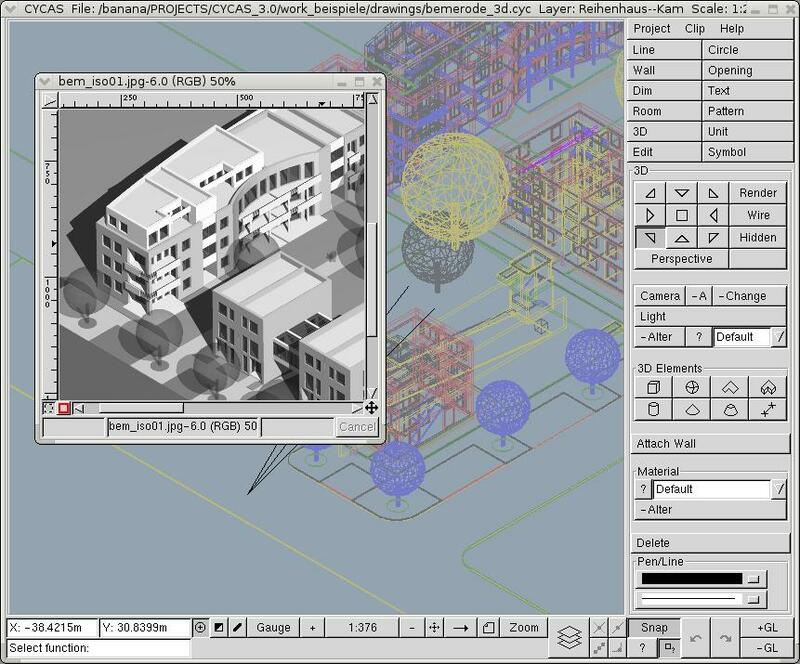 We have featured Bricscad before in our featured listing of top commercial apps for Linux. Bricscad is among the few commercially supported CAD packages which runs on Linux. Bricscad is capable of most contemporary AutoCAD functionalities. QCad is a CAD software package for 2D design and drafting. QCad professional edition is the non-free version with options for limited-time free trial. There is also a community edition of QCad which is licensed under GPL. You can download QCad community edition for free. 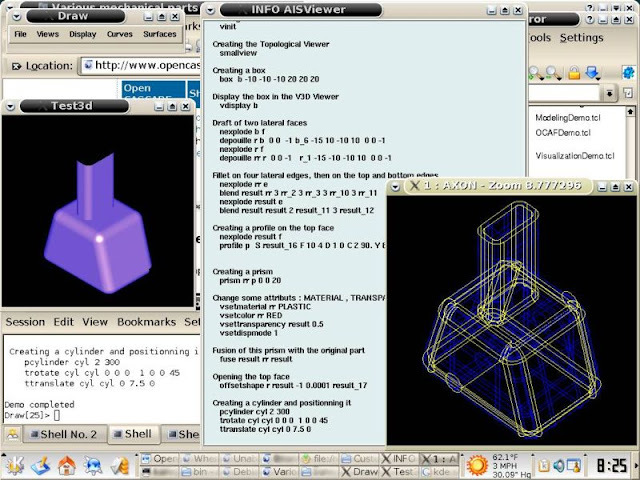 FreeCAD is a free and Open Source 3D CAD/CAE program, based on OpenCascade, QT and Python. It features key concepts like macro recording, workbenches, ability to run as server and dynamically loadable application extensions. Windows, Mac and Linux versions available. 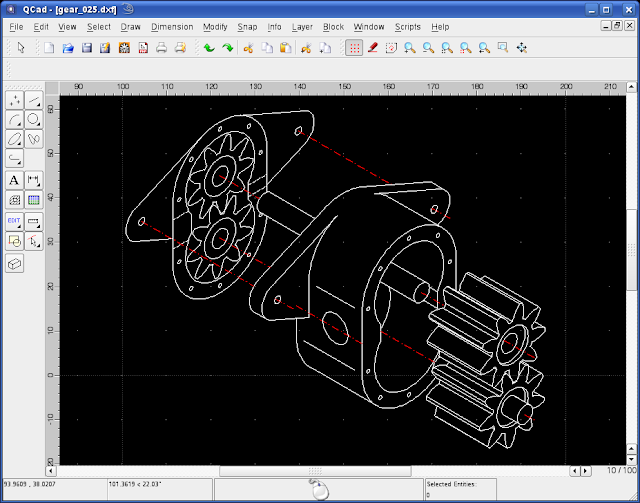 VariCAD is 3D/2D CAD program primarily meant for mechanical engineering design. 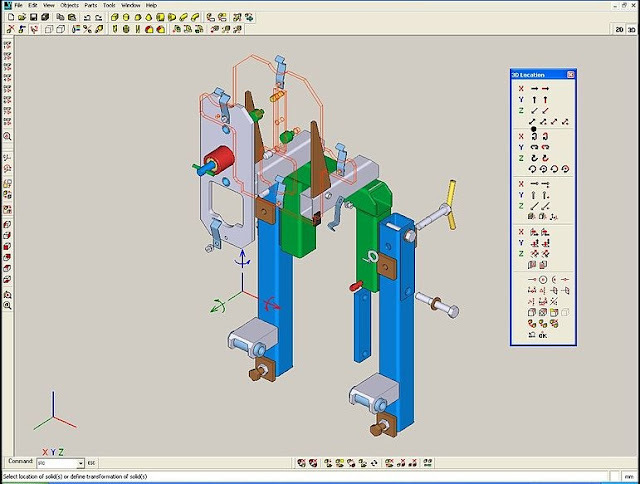 VariCAD provides support for parameters and geometric constraints, tools for shells, pipelines, sheet metal unbending and crash tests, assembly support, mechanical part and symbol libraries, calculations, bills of materials, and more. VariCAD is a non-free, proprietary application with packages for Windows and Linux readily available. Open CASCADE Technology is a software development platform for 3D surface and solid modeling, visualization, data exchange and rapid application development. Open CASCADE Technology is available for free download and is licensed under Open CASCADE Technology Public License which the developer claims to be 'LGPL-like with certain differences'. The Debian project considers the license to meet the Debian Free Software Guidelines and has accepted Open CASCADE into its main archive. CYCAS is a 2D/3D CAD application for Windows and Linux which offers special elements and techniques for architectural design apart from normal CAD techniques. CYCAS enables intuitive and uncomplicated handling of 2D and 3D elements. It is non-free and proprietary. CityEngine is a 3D modeling application specialized in the generation of three dimensional urban environments. 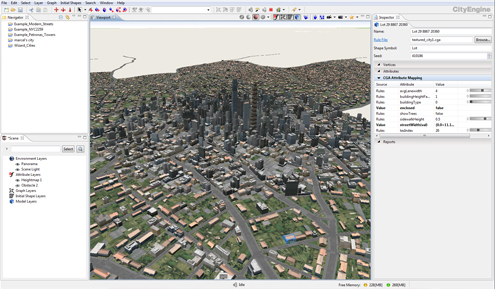 Key features of CityEngine include GIS/CAD Data Support, Dynamic City Layouts, Street Networks Patterns, Map-Controlled City Modeling, Industry-Standard 3D Formats and more. CityEngine is non-free and is available for Windows, Mac and Linux. 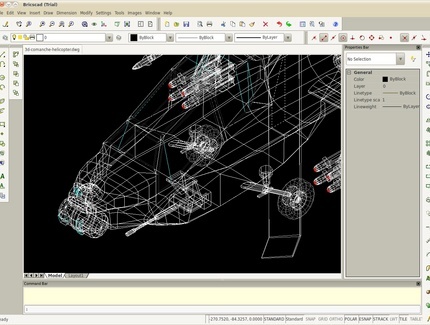 BRL-CAD is a cross-platform open source solid modeling system that includes interactive geometry editing, high-performance ray-tracing for rendering and geometric analysis, image and signal-processing tools, a system performance analysis benchmark suite, libraries for robust geometric representation, with more than 20 years of active development. BRL-CAD is free to download and is available for almost all platforms out there. 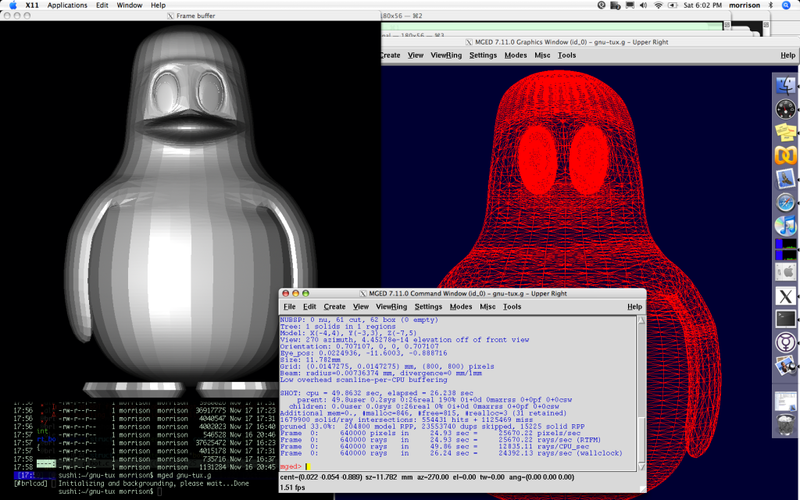 Download BRL-CAD for Windows, Mac, Linux, Solaris etc. Draftsight - It was a really big mistake from our part for not including Draftsight in the first place. DraftSight is a free 2D CAD product developed by Dassault Systèmes. DraftSight lets users to create, edit and view DWG, DXF files easily. Specific packages for Ubuntu, Fedora, Mandriva and Suse available for free download. LibreCAD is the free and Open Source personal CAD application for Windows, Mac and Linux. LibreCAD is among the very few truly community driven CAD app for Linux.